An orphan is a child whose mother and father have died. That is what happened to Kateri Tekakwitha. When she was just a young child, Kateri’s mother and father and brother died of smallpox. The smallpox left scars on Kateri’s face and affected her eyesight. She looked different from other children. They made fun of her. When Kateri was 18, a Catholic missionary came to Kateri’s village. He brought the good news that God loves all people. Most members of the Mohawk nation did not believe this. But Kateri did and began instruction in the Catholic faith. So the missionary baptized her. But everyone made fun of her new beliefs. So at the age of 20, Kateri ran away to Canada. 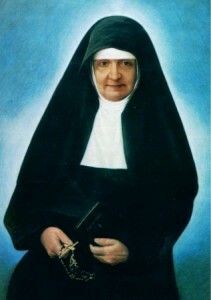 There she led a holy life. She taught children about God. She cared for sick and old people. Kateri was only 24 years old when she died. 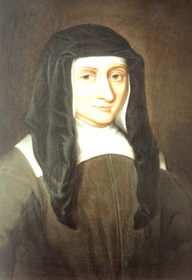 At her death, it is said that the disfiguring scars she suffered from smallpox disappeared. Kateri had shown God’s love to everyone she met. Fifty years after her death, the first convent for Indian nuns was established in Mexico, and they began praying for sainthood for Kateri. In 1980, she was the first Native American to be beatified. She is often called "The Lily of the Mohawks" or "the Mohawk Maiden." 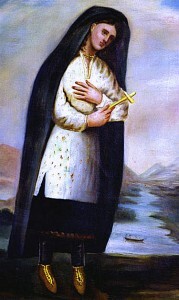 On October 21, 2012, Pope Benedict XVI canonized Kateri Tekakwitha. 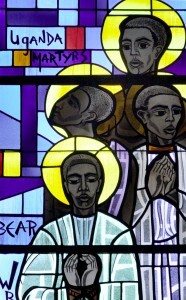 National shrines in Fonda, NY, and Auriesville, NY, pay tribute to her life and faith.